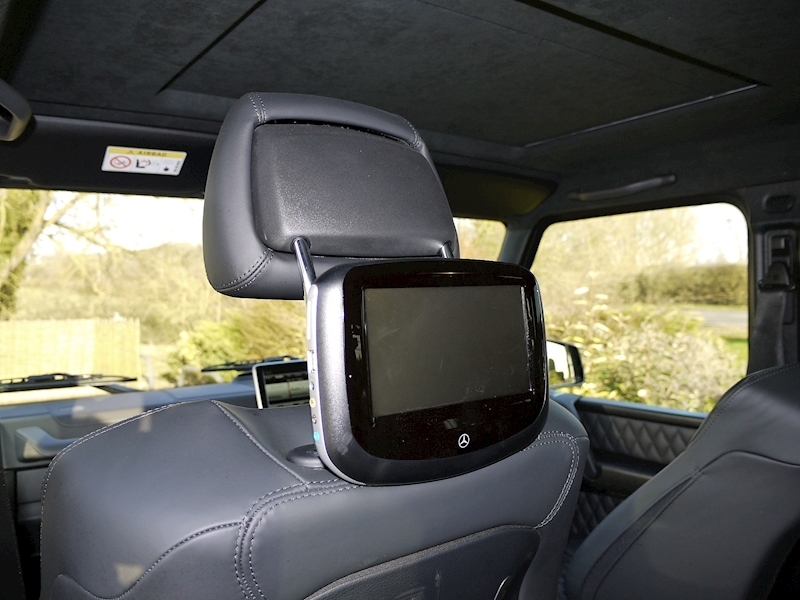 Entertainment Package Includes Rear Seat Entertainment System and TV Tuner. 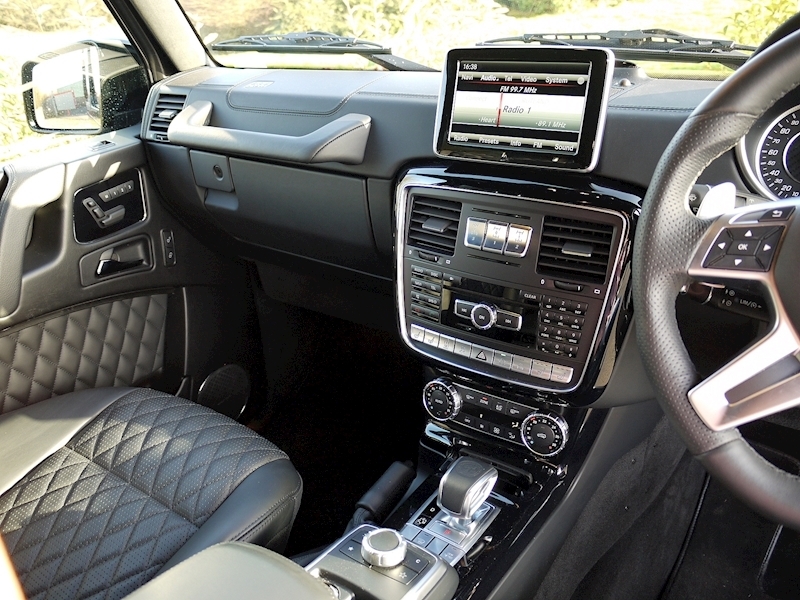 Designo Exclusive Package in Black Leather with AMG Front Sports Seats, Seat and Door Centre Panels in Designo Leather with Diamond Design and Upper and Lower Part of Dashboard in Designo Black Nappa Leather. 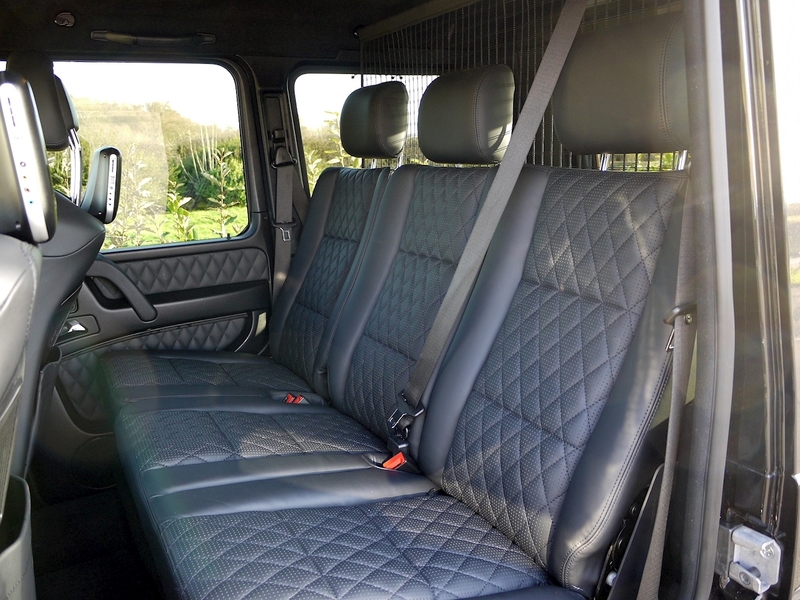 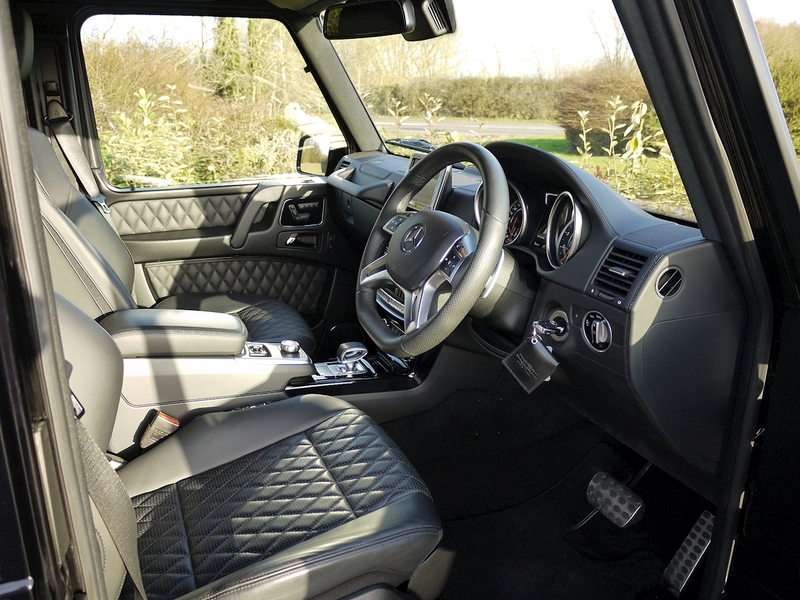 Winter Package Includes Auxiliary Heater with Remote Control and Heated Front Windscreen. 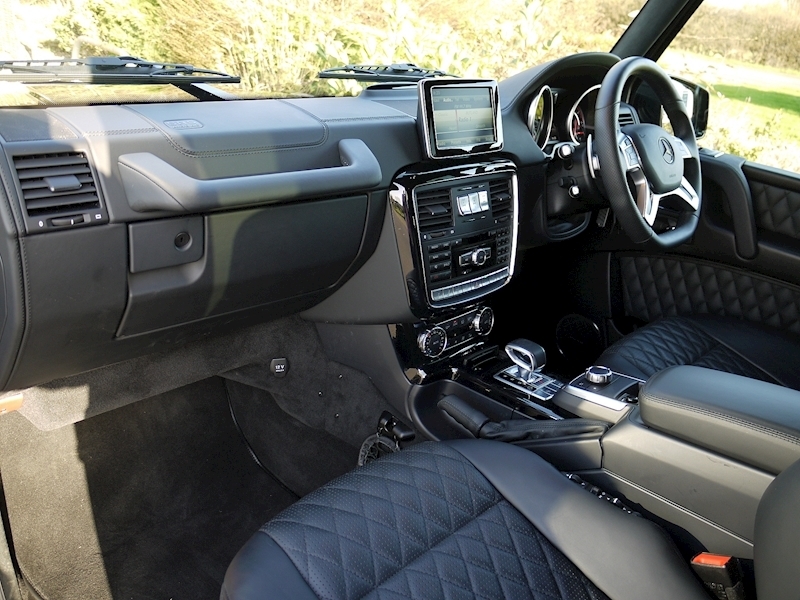 Designo Piano Black Lacquer Trim. 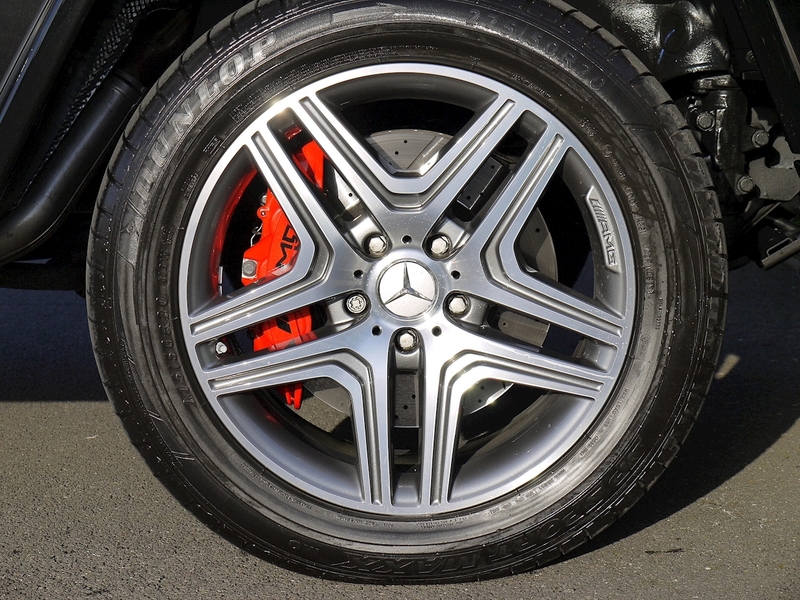 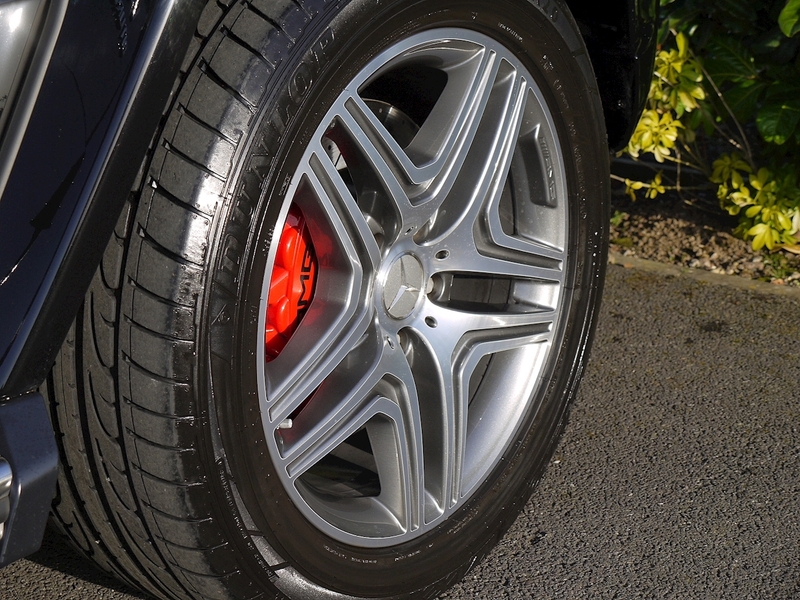 20" AMG 5-Twin Spoke Design Alloys in Titanium Grey. 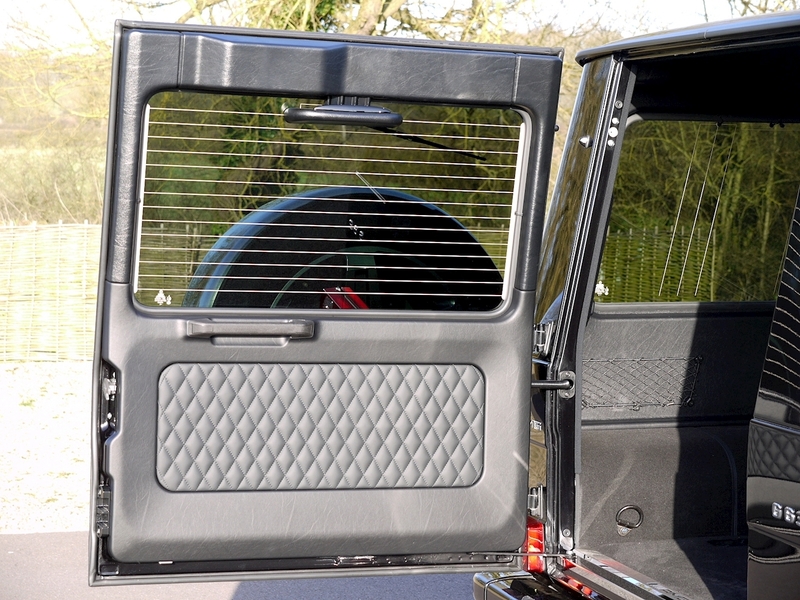 Electric Tilt and Slide Sunroof. 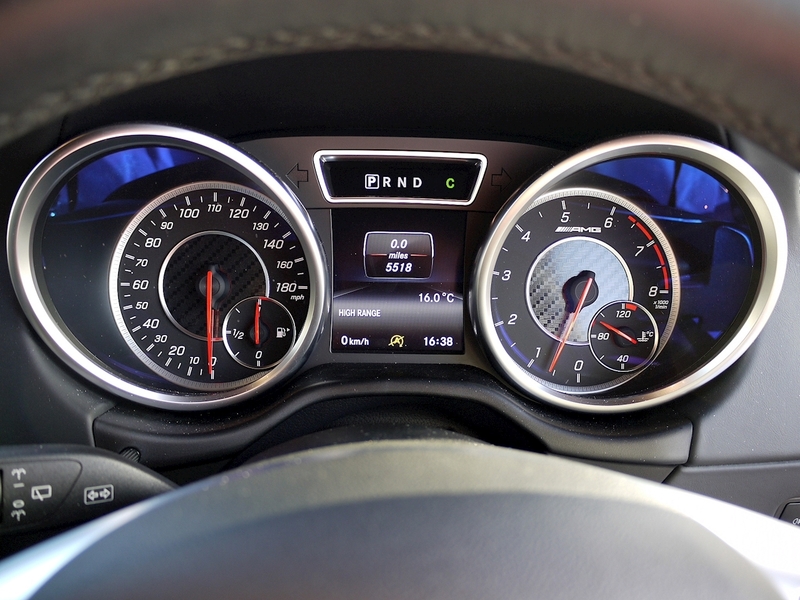 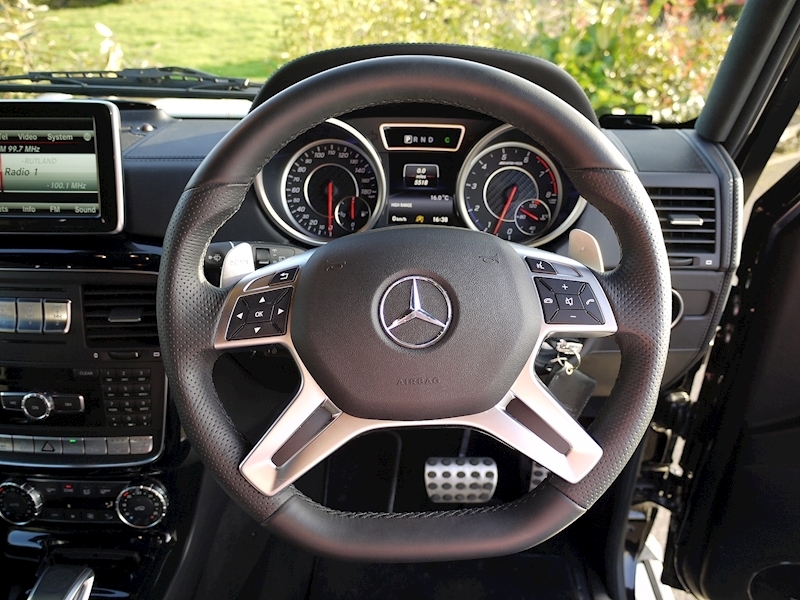 AMG Performance Steering Wheel. 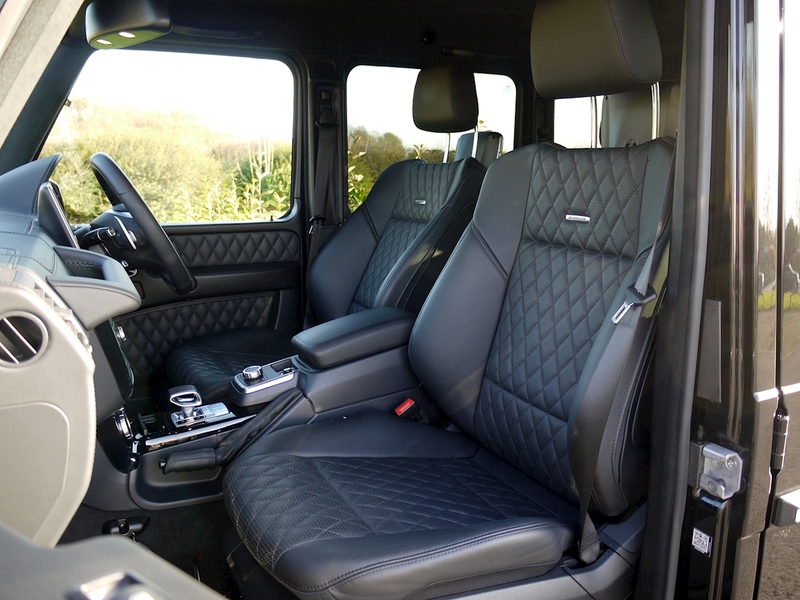 Privacy Glass. 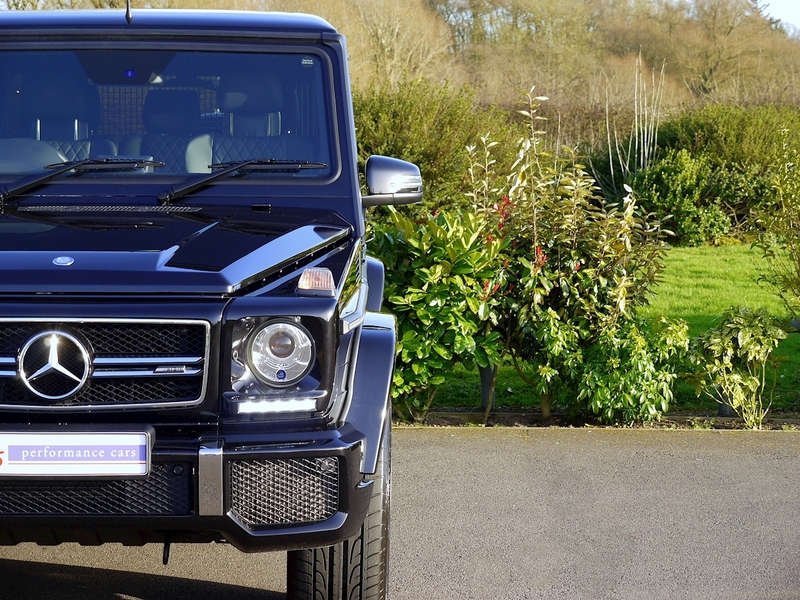 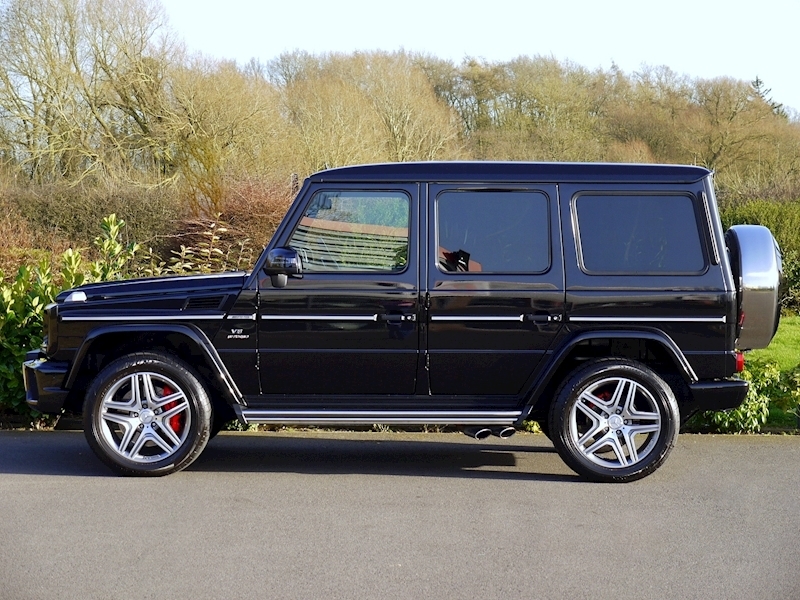 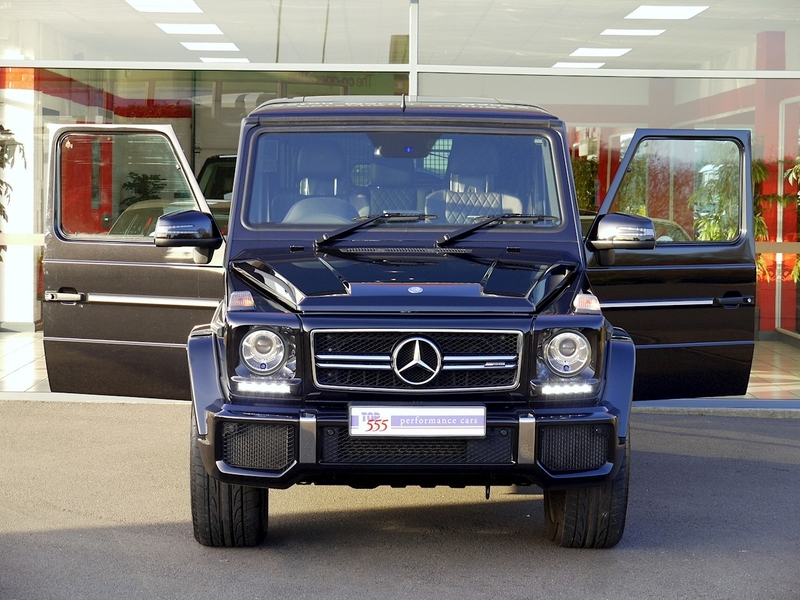 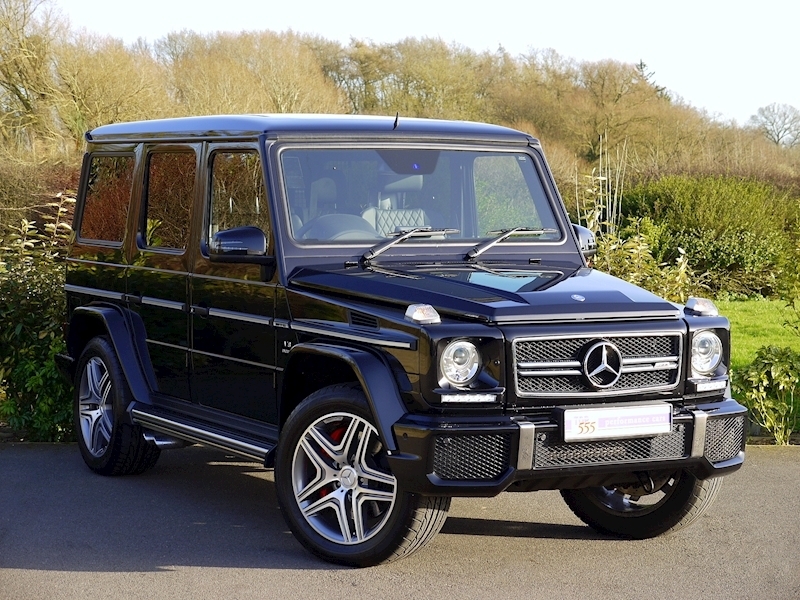 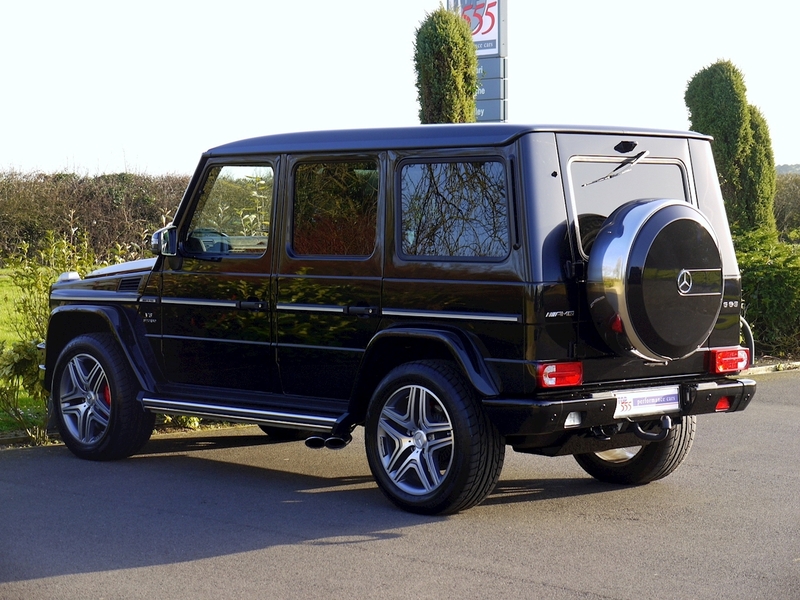 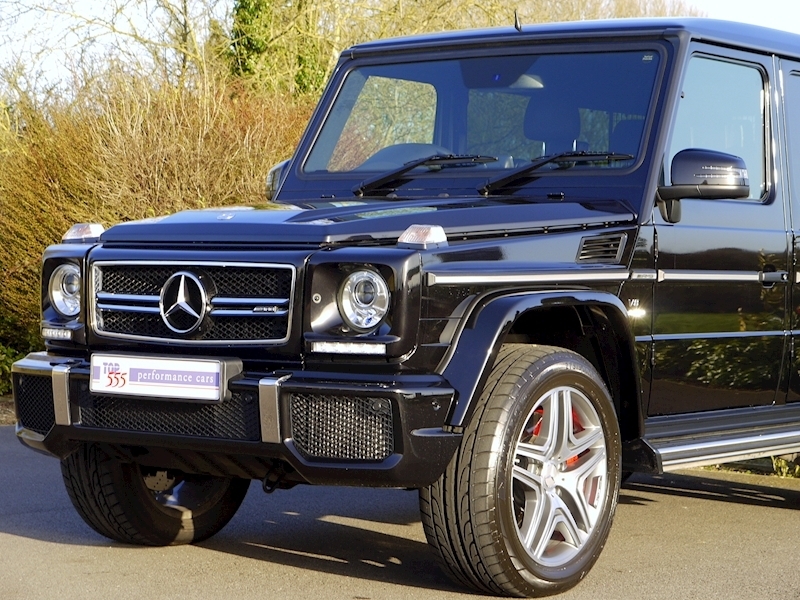 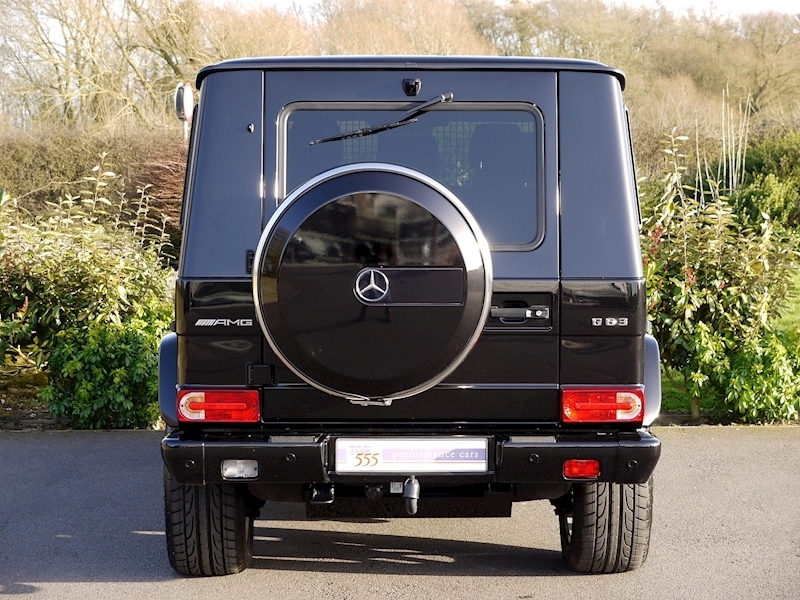 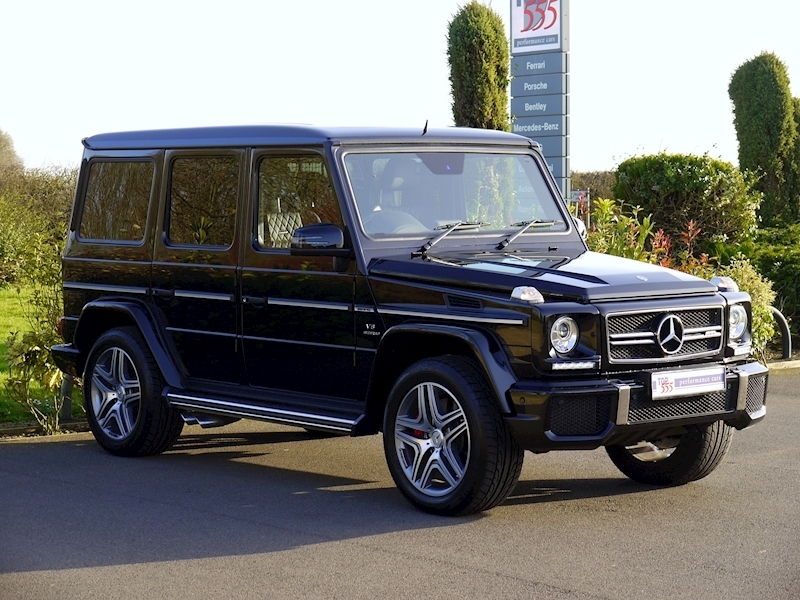 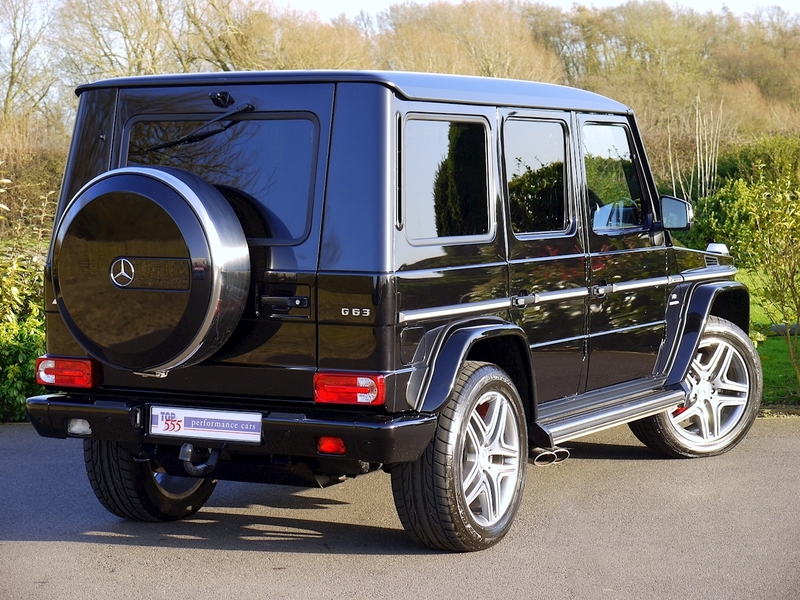 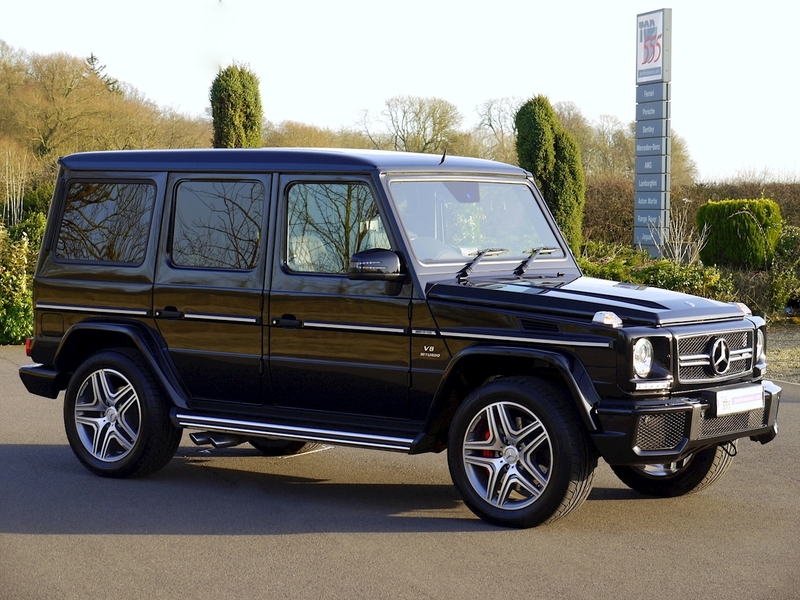 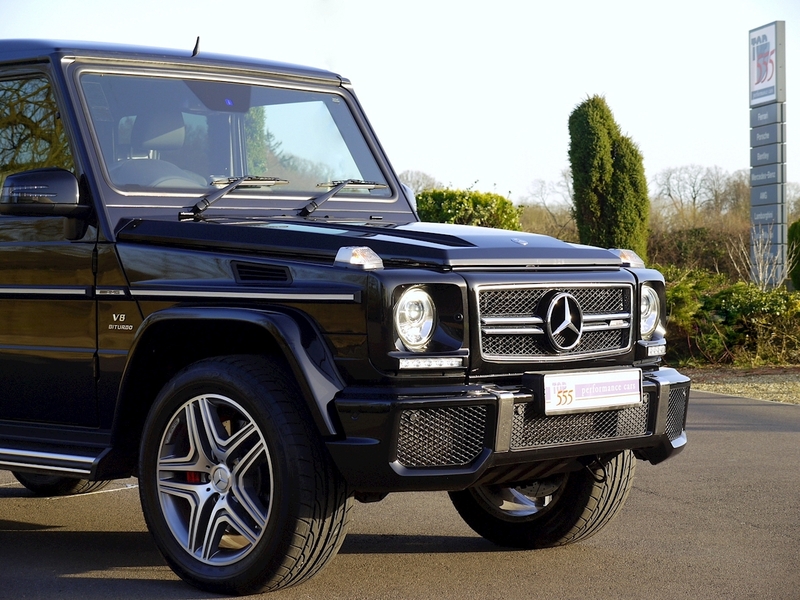 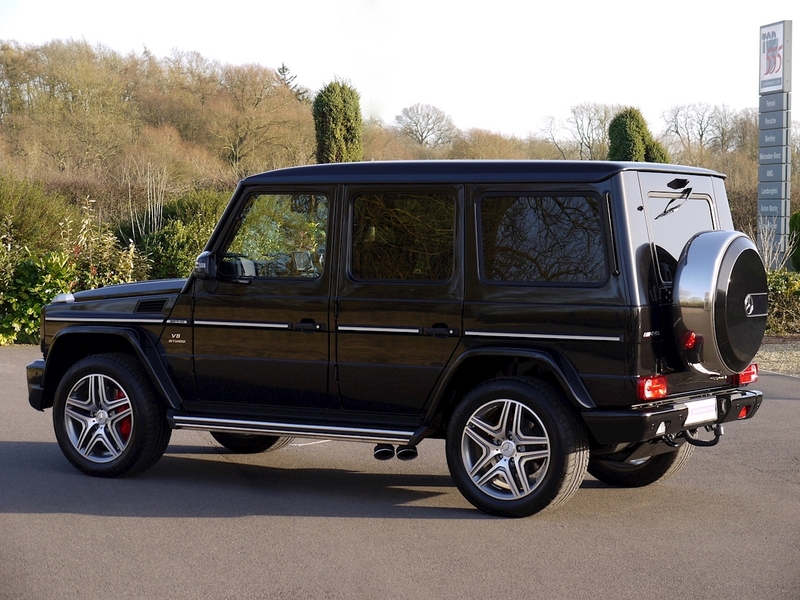 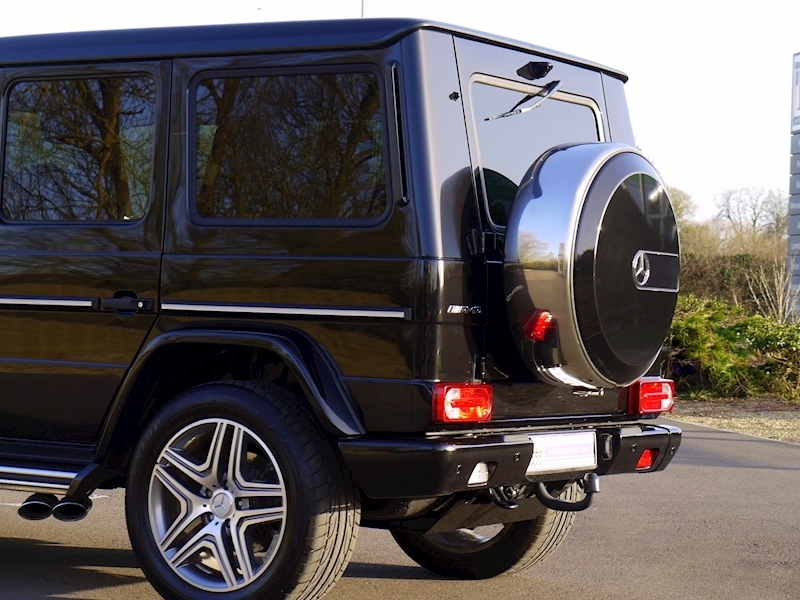 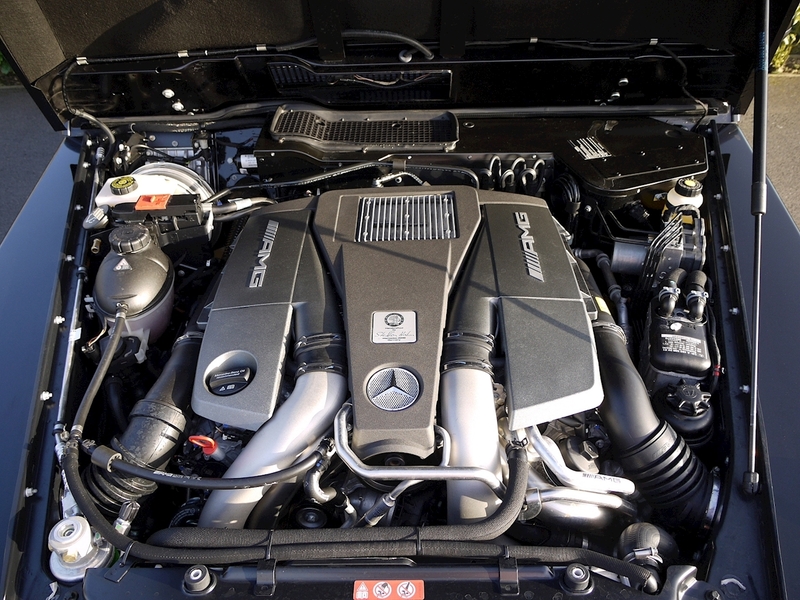 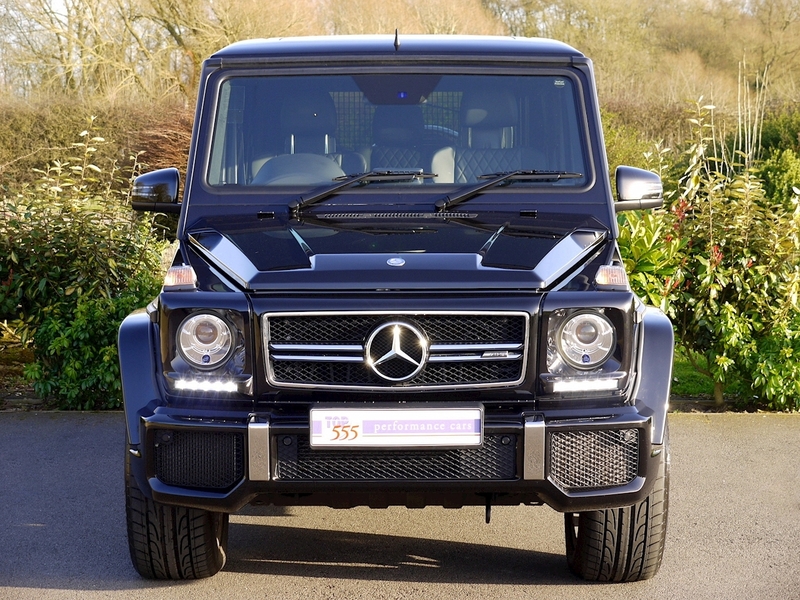 Plus All Standard G63 AMG Specification to Include Chrome Package, Parking Package, Exterior Styling Package, Load Protection Package, Seat Comfort Package, Harmon Kardon Surround Sound System and DAB Digital Radio.